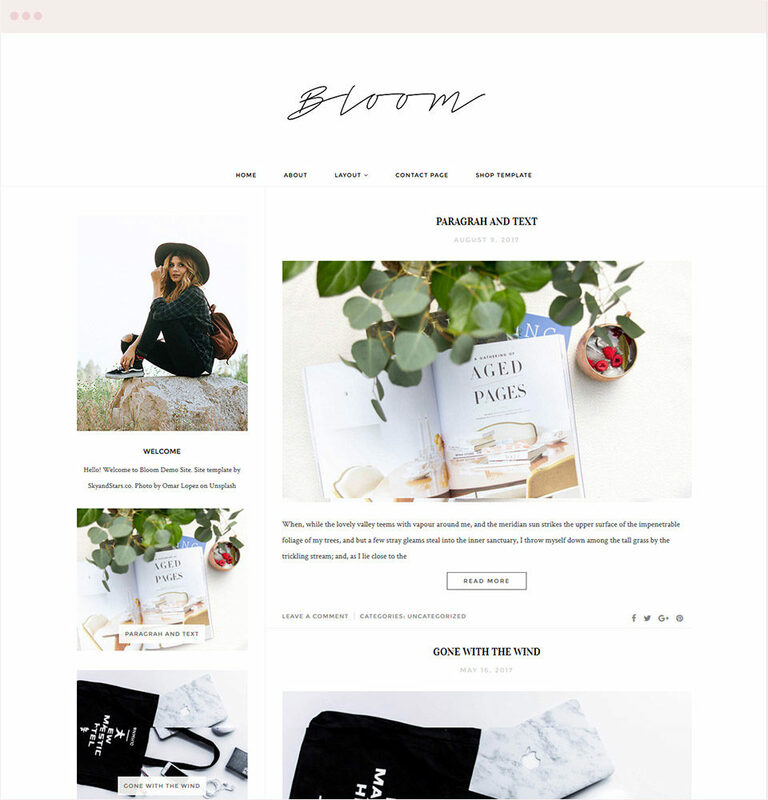 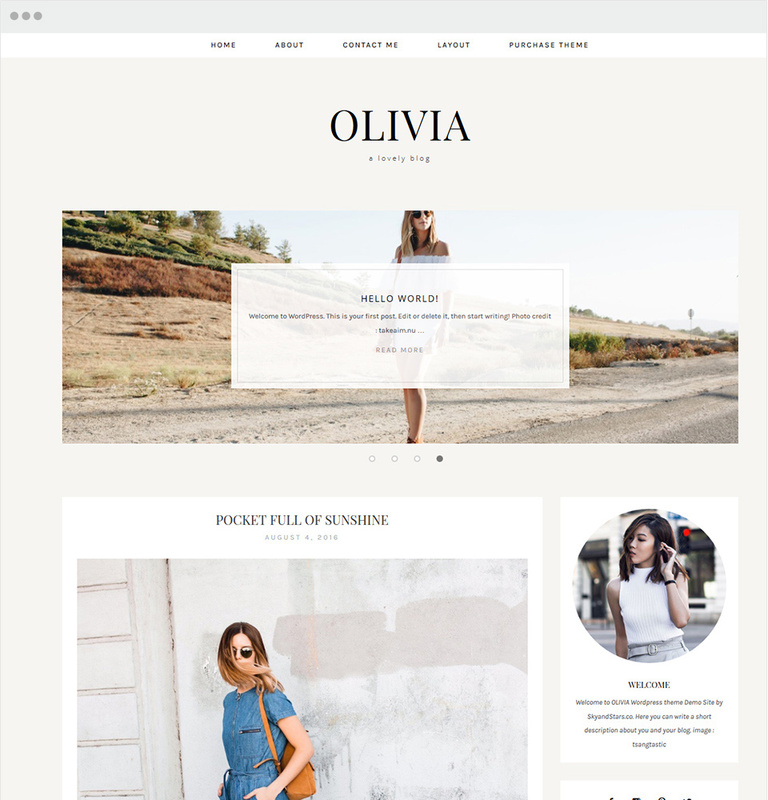 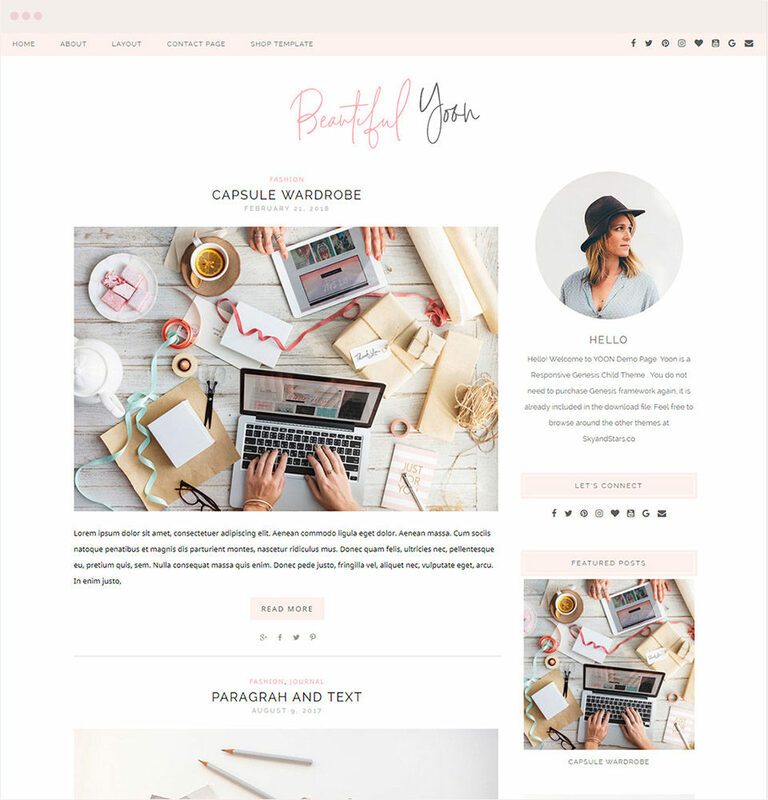 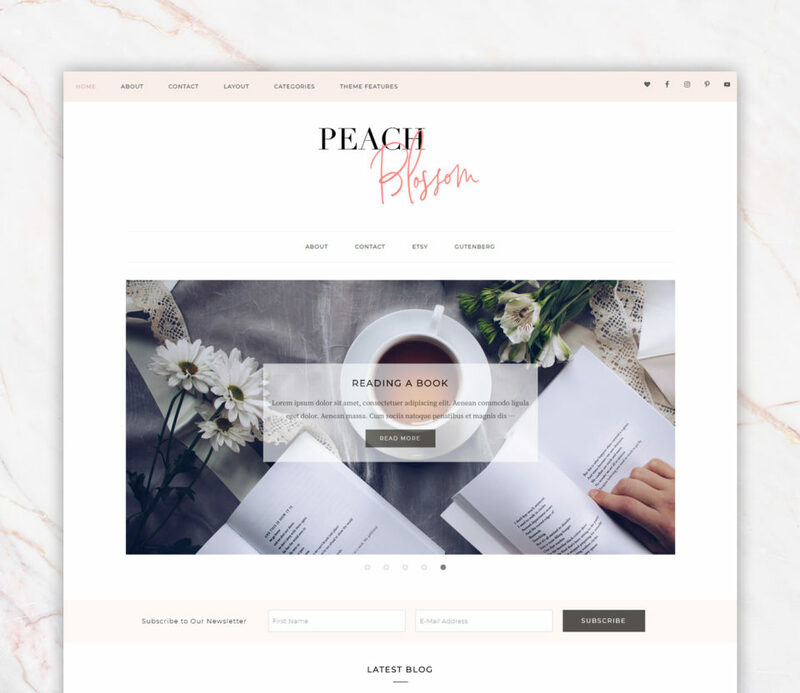 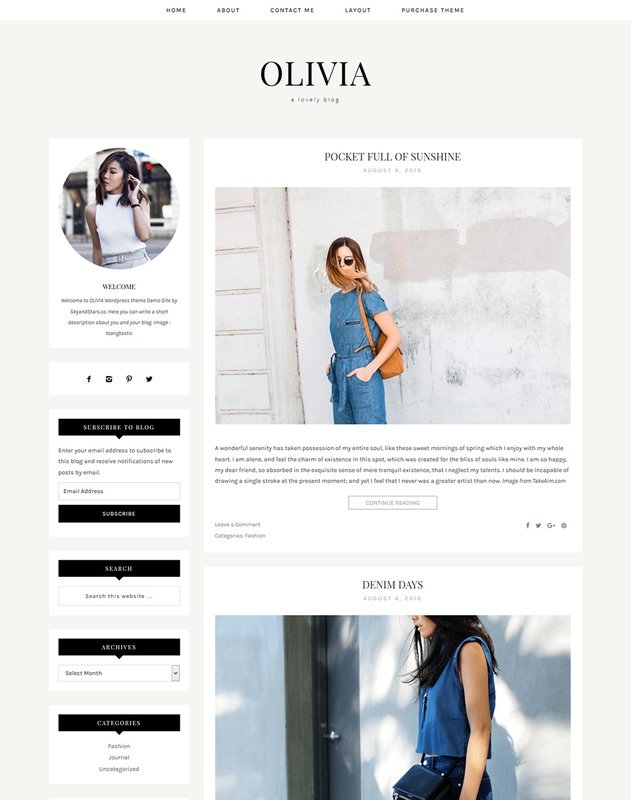 ‘OLIVIA’ Responsive Wordpress Genesis Child Theme for travel, food, fashion and lifestyle bloggers. 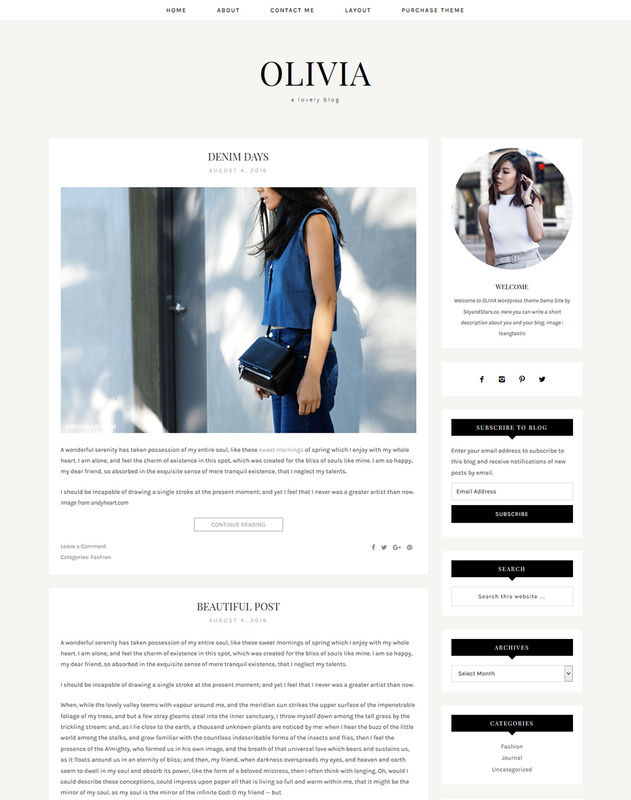 There’re 3 different layout available : full width, left sidebar, or right sidebar. 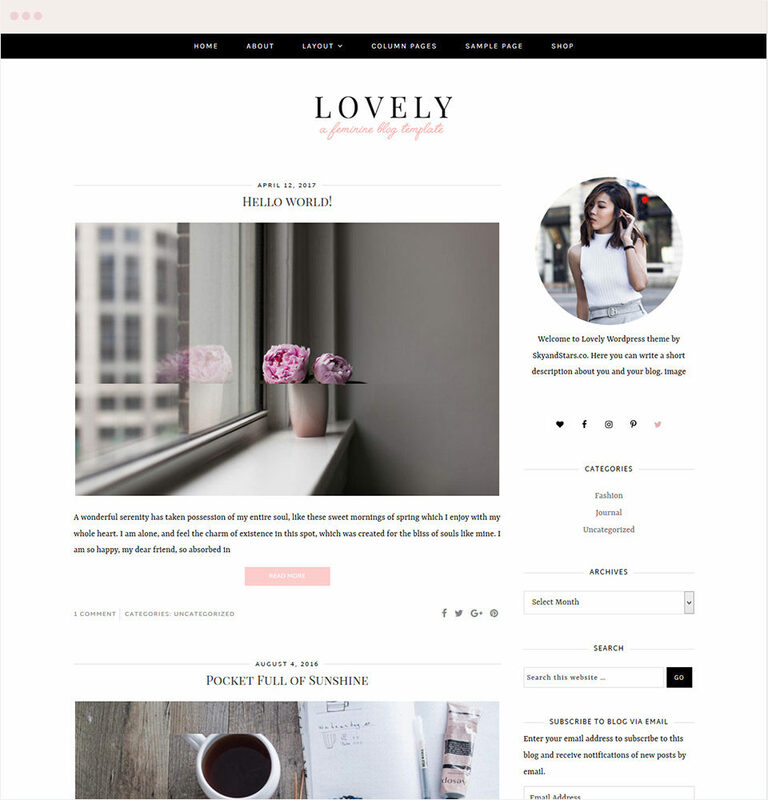 You can also choose to use the featured post slider or remove it if you don’t want.